Fleet Feet: What's the philosophy behind North Point Fitness? Rebecca Pedrick: Our philosophy is based on helping our clients not only look good, but feel great! We've been specializing in fat loss since 1992, but also train athletes of all ages. Most recently we've taken on programming workouts for all of Mount Pisgah Christian school's athletic teams. The type of training we do is more functional based, utilizing tools such as kettlebells, battling ropes, TRX suspension trainers and good, old fashioned SPACE, for our clients to MOVE AROUND doing multi jointed exercises for an efficient, fun, and safe workout! FF: If you could only give someone 3 exercises to perform to get maximum results, what would they be? RP: See above! All muscle groups covered! Pushups are one of the most challenging, all-encompassing exercises and can be scaled in all directions for all levels. They will help strengthen mainly the pectorals, anterior deltoids, and triceps. Plus they are also a great core exercise! Pull-ups, to balance out the upper body with your pulling muscles that include your biggest pullers, the lats, as well as traps and rhomboids, biceps and forearms. Lunges work all the muscles of your lower body, and in addition, do a great job getting your heart rate up, for extra fat burning! FF: In your time at NPF what changes have you seen in the gym regarding workouts? RP: Since I started as a client at what was then called Good Bodies in 1998, the gym has not only expanded in space, but we've evolved from using machines to functional training. We've also gone from the one on one model of training, to small group personal training because it has been proven that people are much more successful and likely to work harder in that environment. Plus, it fosters a really cool community culture that you would never get in a one on one setting. FF: This time of year everyone is making resolutions. What advice do you offer people to help them stick with their resolution longer than through the month of January? RP: I'm not personally a big resolution person mainly because I feel that resolutions tend to be unrealistic and/or temporary. With that being said, I think the MOST important thing for someone trying to achieve a goal is that number one, is it realistic? Secondly, I suggest coming up with daily behaviors or reminders that incrementally make someone feel that they've accomplished something positive on the way to a big goal, and to help them constantly be reminded of what they are trying to achieve ultimately. Also, getting out of the all or nothing mindset! Slip ups happen no matter what, and what makes someone successful is whether or not they can easily get back on track and brush it off, rather than giving up because you "fell off" or "messed up." 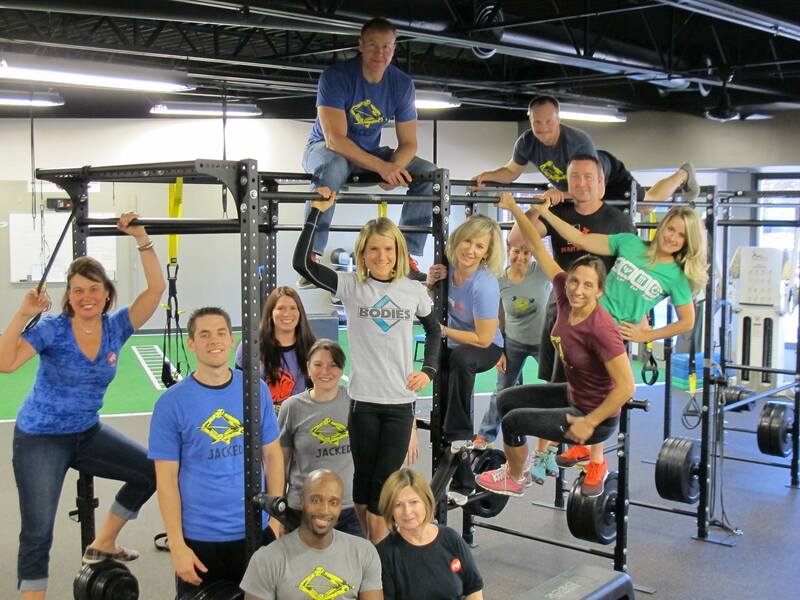 FF: What sets NPF apart from other gyms? RP: What sets us apart from other gyms is our culture! We've been called the "Cheers" of gyms. Everyone knows your name, and we strive always to be the best part of our client’s day! Also our absolute dedication to helping people is unparalleled! FF: You've been at NPF for a long time, what keeps you at NPF as a trainer? RP: The reasons just stated above answer that. We are all a big family. Staff as well as clients (and I think to myself on a daily basis about how incredibly awesome all our clients are!) all genuinely care about each other and we are all extremely passionate about what we do. Since I was 13, NPF has been like a second family and home to me. FF: Tell us about one of your favorite success stories. RP: I honestly cannot pick just one! Everyone has their own journey, and it's impossible to quantify what a huge difference we have made in so many people's lives. We have some clients who have lost over 100lbs and completely changed their lives when it seemed they were doomed to be miserable and unhealthy forever. But with that being said, I don't see it as any bigger of a success story than hearing another of our clients tell me that maybe the number on the scale didn't change that much, but she has a confidence in herself now that she has never had in her life! That is why I do what I do! FF: If someone wanted to check out NPF, how can they find you guys? RP: They can check us out at www.northpointfitness.com or call 770-998-9009!